The department of National savings of Pakistan is her to give a good chance to get from Prize bond 200 Draw on 15 March 2016 at Muzafarabad with a big prize waiting for you. This 65 number draw list will be updated on Tuesday dated 15.03.2016 by bondresult. The luckiest person is one who gets a chance of win with little effort but this is rare. 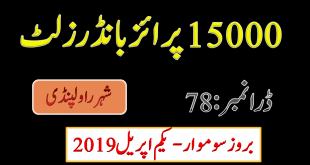 The national savings of Pakistan is the one of best way If we buy 200 Prize bond in only two hundred price and get lucky for the prize of 7 lac and fifty thousands rupee in a day. Oh! but it’s not for everyone but we can try it. 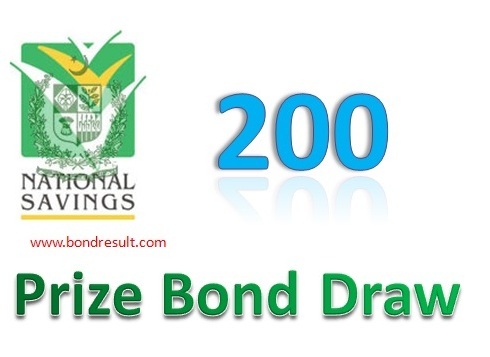 Now National savings of Pakistan is here with Prize bond Rs. 200 Draw List dates 15th March 2016 at Muzafarabad city on 15-03-2016 at 9:00 am. 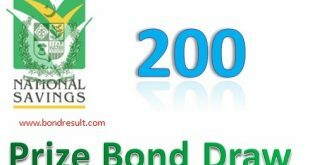 But the complete list of two hunder prizebond will be updated at 5:00 pm. THis is draw number 65 of this small prize bond. This is the low price prizebond and bought buy most the folks and most of have already this for many year. But not time have come to check I in this draw date and previous date so you may be lucky for the winning of first prize. The first winner of this prize bond will get Rs.750,000 /- lack rupee. The second 3 winners will get Rs.250,000/- each. and the third 2394 winners will get the Rs. 1250/ that is mostly possible in fresh copy fo 200 prize bond lists. You can check out the full list of Prize bond Rs. 200 list #65 Draw 15 March 2016 held at Muzafarabad city on this page.